How many times have you heard the following statement from a blog article, or Google search? If you’re like me, you surely can’t count on two hands how many times you’ve heard that bold statement (if only we had a like/follow every time we did!). While arguably cliché and cheesy, the words do echo a timeless truth. What good is an army with a king, without a plan of attack? In this sense, content is king in the world of marketing. Let’s explore how the timeless roots of content marketing should be reflected in your brand’s social media strategy. Also, let’s give you the three-step social media plan, so that you can optimise your social media strategy, pinpoint and fix problems and ultimately drive consumers to take a desired action. The themes throughout this definition have been recognised by and embedded within brands’ marketing strategies for beyond a century. Whether it be John Deere’s journal for American Farmers in 1897 through to Nike’s astonishingly popular Instagram feed, the ability for a brand to communicate appropriate content with their clearly-defined audience is vital for a brand’s ability to drive consumer action. Firstly, before even considering the content you’re wanting to share, you need to consider the foundation of your castle: the communication. Fortunately for modern businesses, you do not need to go ‘John Deere style’ and create entire magazines to communicate content with your target audience. Why you ask? Social media! That’s why. Words alone have the potential to be used by brands to establish strong personalities, and from a brand perspective we should embrace this. Social media leaders directly connect with their audience by using character/persona, tone, language and purpose to form a unified social media brand voice. We strongly recommend checking out Stephanie Schwab’s article if you need help finding your voice. Beyond words, brands should communicate in ways that are visually interesting. Consumers, as humans, are attracted to visual elements over words; to confirm this, Tweets that include images are retweeted 150% more than those without images. Social media leaders are visually creative, and ensure their visual identity is unique and appropriate to their target audience. For example, compare two contrasting grooming product brands: Uppercut Deluxe and Frank Body. Their visual communications are contrast each other vastly. How can brands optimise their voice and visuals via social media? By creating a ‘social media brand persona guide‘, reaffirming your brand’s visual identity. Content must be valuable to its audience before it’s worth following; brands must prove and maintain that presence. You can achieve this by posting a variety of content following the ‘80/20 rule’: “80% helpful/valuable, 20% self/product-promotional”. Due to the communicational differences between social media platforms, you must also ensure that content is tailored to each platform used. You must add value through your content on each platform, using each platform’s individual strengths to your advantage. For example, you would not post blog-length text in an Instagram photo’s description. See Likeable Media’s ‘Social Media Cheat Sheet‘ for an all-in-one guide. It’s inefficient, non-valuable and unprofessional to post content that is not consistent across different social media platforms. Brands must consistently integrate communicated messages via social media channels to visitors to form positive associations. If your brand’s social media content is valuable, appropriate & consistent, you’re on the right path in establishing a strong social presence. 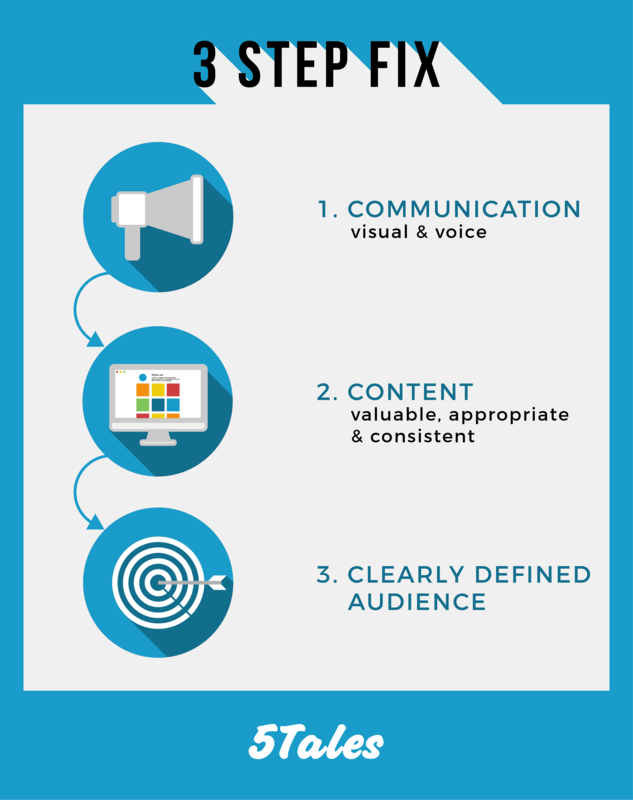 There is a final component entailed within content marketing: your target audience. We know that content is king; but what if the kingdom is not interested? Effective communication and strong content is wasted if you’re not communicating with a clearly defined target audience. This is where research and planning comes into play. 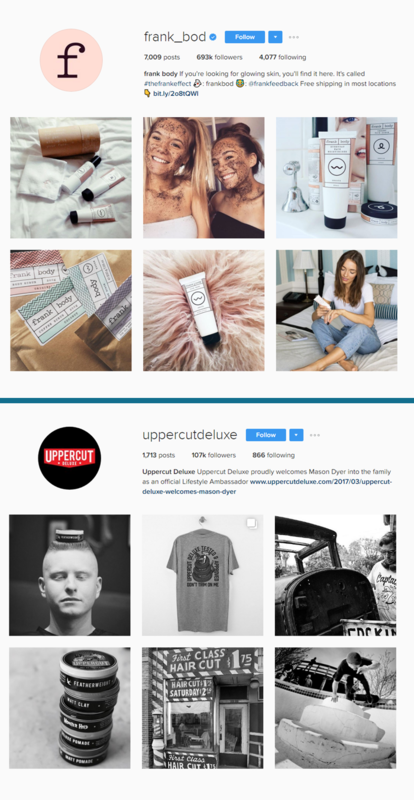 If a brand chooses to connect with consumers via content marketing using social media, they must be able to define their target audience and understand why they use social media. As consumers are individually unique, efforts must be made into determining the social media platforms used by your target markets. After all, you do not want to be over prioritising social media platforms that are not used by your target audience. There are several ways to capture this data, including market research, demographic/psychographic statistics or by simply observing competitors followers. Your content then must align with your target market’s use of their favoured social media platforms. What’s the point of communicating bound-to-convert content if your target audience is not bound to hear it? For example: if you were selling sports drinks and a target market was exhausted tradespersons, it would be ideal to post early in the morning during their commutes as opposed to late at night when they’re sleeping. In the social media kingdom, timing is everything. By taking the steps to plan the way you communicate, the content you post and who you’re posting to via social media, a brand can foster the action that their target audience is likely to take. Action does not always equate to sales, and can vary depending on the motive of your brand; it could essentially include attempting to get users to contribute to an online hashtag campaign through to signing up to an email list (QUOTE). No one ever said that social media marketing for a brand would be easy, but with a solid foundation of market research, planning, management and progress measurement, you’re a heck of a lot closer to becoming a content king.